Install transfer case to pump-jet machinery guard (TM 55-1945-205-10). 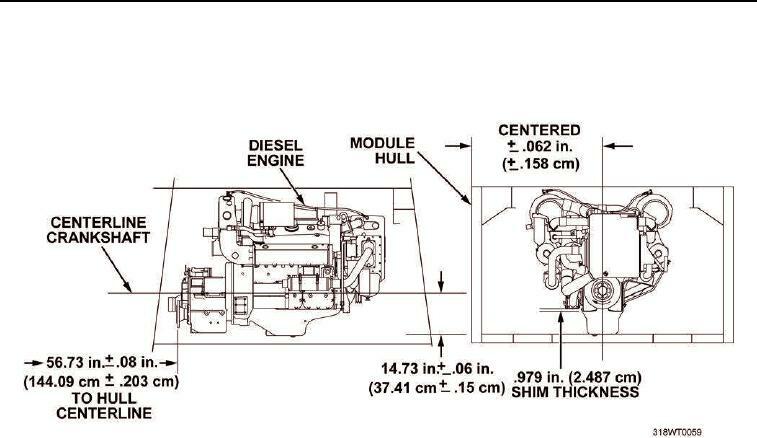 measurements depicted in Figure 1. After engine is aligned, remove sling. Align marine gear (TM 55-2040-211-24). Verify that transfer case input and output flanges are in line with marine gear and pump-jet.